According to Ukrainian publication Korrespondent, the e-commerce sector of the Ukrainian economy reached $1,6 billion (1,23 billion Euro), which represents a 45% increase over the previous year and an almost 300% increase over 4 years ago. The site also reports that there are approximately 8,000 internet stores, the largest 300 of whom comprise about 80% of the market. 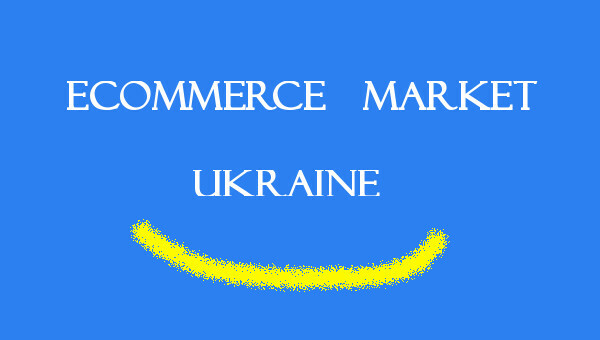 The e-commerce sector is the fastest-growing segment of the Ukrainian economy. For reference, I decided to look into the size of the e-commerce markets for neighboring CEE countries. In 2012, the German ecommerce reached 28 billion euro, Russia reached 12 billion euro, Turkey hit 7,3 billion euro, Poland hit 4,5 billion euro, the Czech market stood at 1,8 billion, Hungary came in at 950 million euro, Romania checked in at 600 million euro, and the Bulgarian ecommerce market totaled just 120 million euro. Thus, while Ukraine falls behind neighboring Poland, Czech Republic and Russia, they have managed to jump ahead of EU neighbors Hungary, Romania, and Bulgaria. Part of this might be explained by Ukraine’s large population, which dwarfs that of the aforementioned EU neighbors (45,7 million people live in Ukraine, as opposed to 21,4 million in Romania, the next largest country). However, Ukraine’s explosive 45% growth rate indicates that it may soon join Poland in terms of the size of its e-commerce market. According to information published by the Polish government, the ecommerce market is expected to grow by more than 20% from 4,97 billion euro (their estimate differs from the other estimate) to just over 6 billion euro in 2013. Russia, for its part, is expected to grow by a 17% annual rate. In other words, Ukraine lags far behind these countries in terms of market size, but will certainly make up some ground if it can maintain its current growth rate. I feel that it will struggle to maintain its strong pace as the market grows, but the fact that only approximately 40% of Ukrainians use the internet would seem to indicate that there is a great deal of untapped potential in the country. As the country continues to recover from its economic crisis and investors/entrepreneurs turn their attention to this region, I think that it will able to maintain and possibly build upon its current growth rate.